You can’t beat lupus if you allow lupus to mess with you and get in your head. 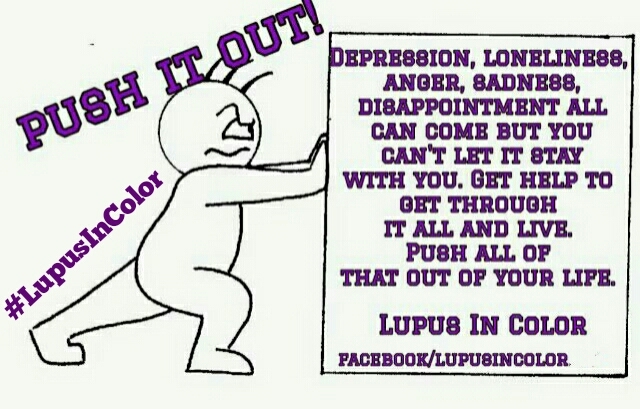 You have to shake the demons that lupus tries to place in you emotionally off. Depression, loneliness, anger, sadness, disappointment all can come but you can’t let it stay with you. Get help to get through it all and live. Push all of that out of your life. Life is still magnificent even though you have lupus. It’s not easier said than done it’s easier done when said and action put to it.